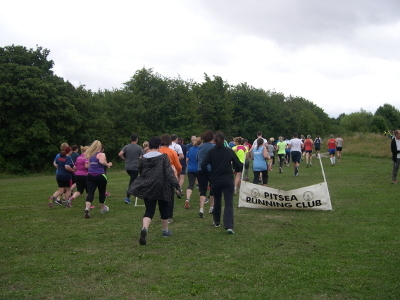 I hear that Wednesday night's Skylarks 3K Race at the Park, ran very smoothly. (No pun intended). There were almost 70 entries aged from 6 years to quite a bit older! The race was won by Crispin in less than 10 minutes. The first boy was 15 year old Jamie who completed the race in just over 12 minutes and the first girl was 12 year old Rebecca in 14 minutes. 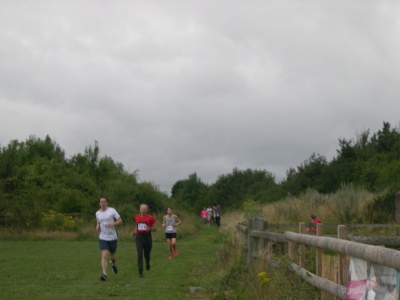 Jackie from the Mid Essex Casuals was the first female to finish in 15 minutes. 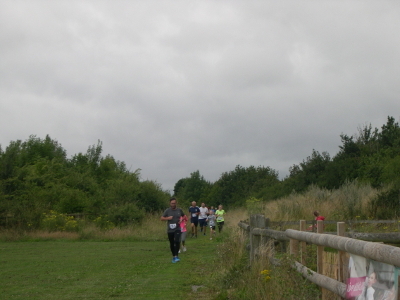 As well as the more serious runners, others used the race to challenge themselves or to take a power walk round a beautiful park and the spectators were still cheering as the last person crossed the finish line 30 minutes after the start of the race. 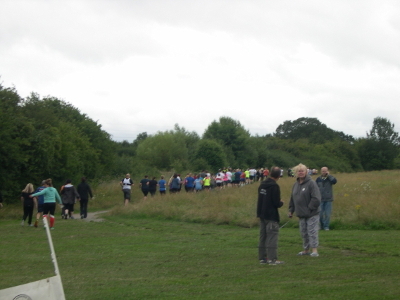 Refreshments and prizes were provided by the Friends of the Wick Country Park. 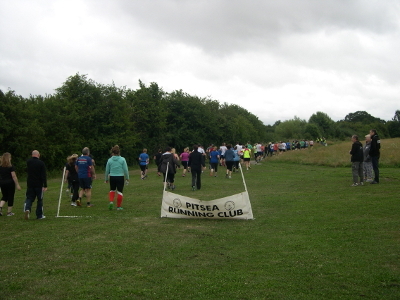 We are very grateful to Pitsea Running Club, who organise this twice yearly event, and we are very appreciative of the generous donation they give after each race. You will be able to read a full report of this event in issue number 54 (August 2017) of our Skylarks Newsletter - see the link to the 'On Line Archive' to the left. Here on this page, we have presented a 'Photo Story' of the evening. 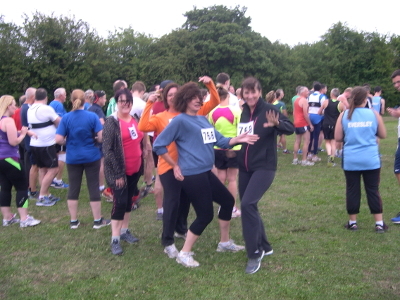 Max, Trudie, Hilary, and Karen 'limbering up', before the start! And then they're off! 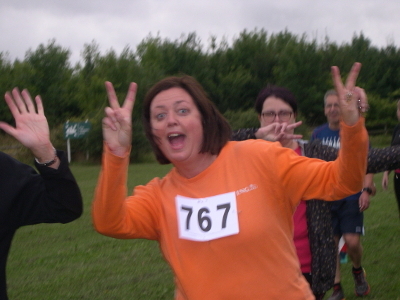 A triumphant Trudie - still full of running! So why don't you take part in the next race, in April 2018?